I am way overdue for another edition of Kat's Crazy Kitchen. Back when I announced the Kat's Crazy Kitchen feature, Mya of The Painter Pack asked me if I could feature a recipe with three ingredients or less because as Mya put it, "so my cooking challenged mommy can do it". Well, Mya, I've got a super simple recipe for you today. My mom first got the idea from Khyra, just to give credit where credit is due. Here's what you do. First get some bananas that are past the point where your human wants to eat them. That means that they are at the perfect point of mushiness. 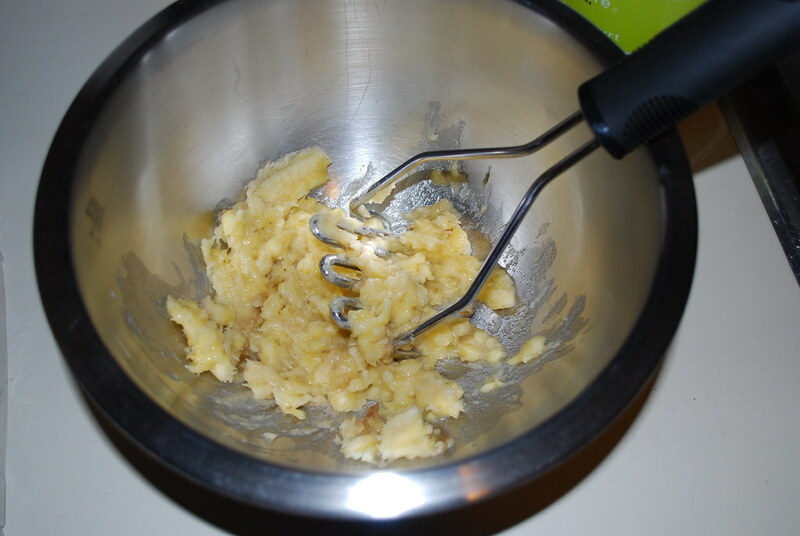 Then get your masher and mash up the mushy bananas. 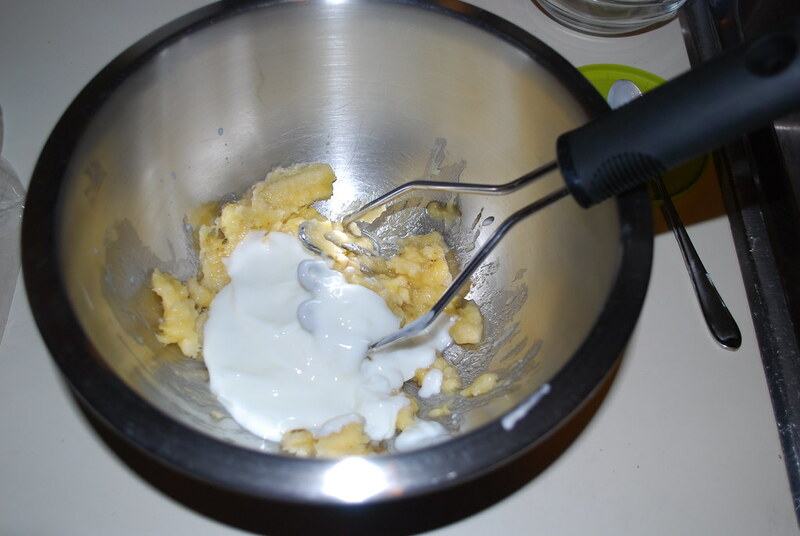 Next get some plain non-fat yogurt and put a couple spoonfuls into the bowl. Stir the banana and the yogurt up. Now get your bones ready. Mom lines them up in a bowl like this. 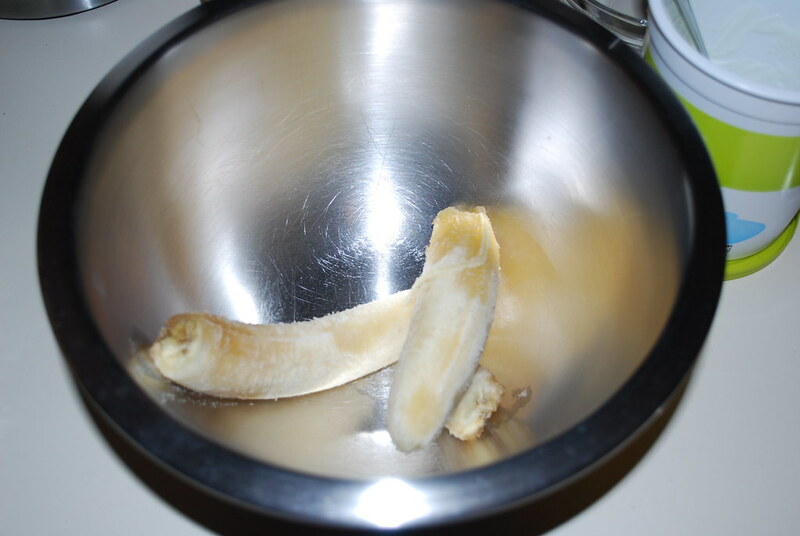 Scoop out the banana mixture and fill up your bones. 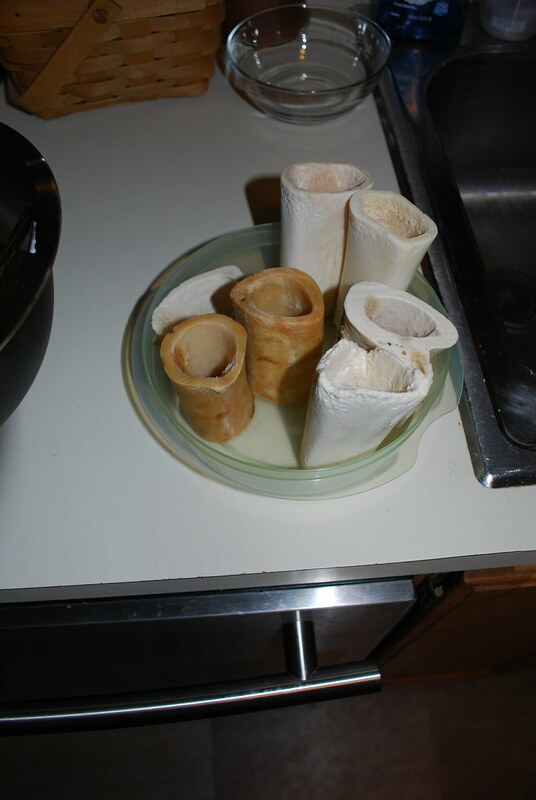 Next have your humans put the bones in the freezer and let them get completely frozen, then it's time for you to enjoy them! You can even do variations of this recipe. 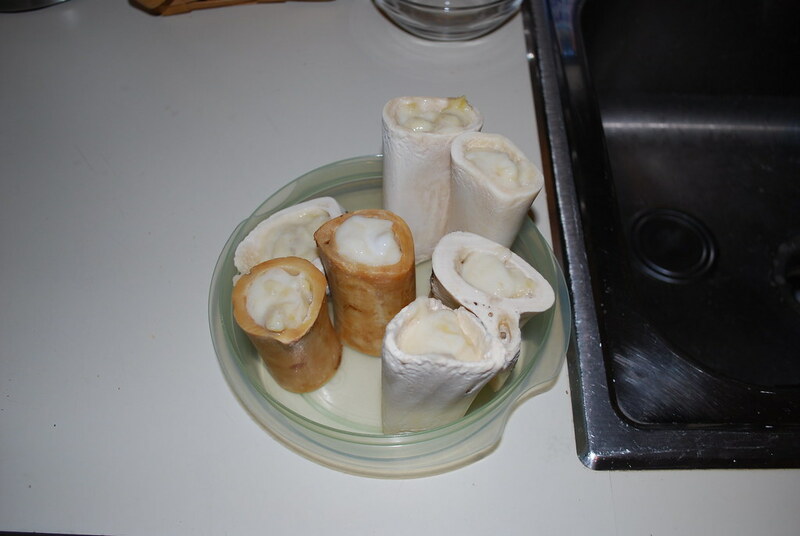 Sometimes my mom puts the mixture in our kongs instead of bones. Or sometimes she uses pumpkin instead of yogurt. So you can do whatever you think sounds tasty. 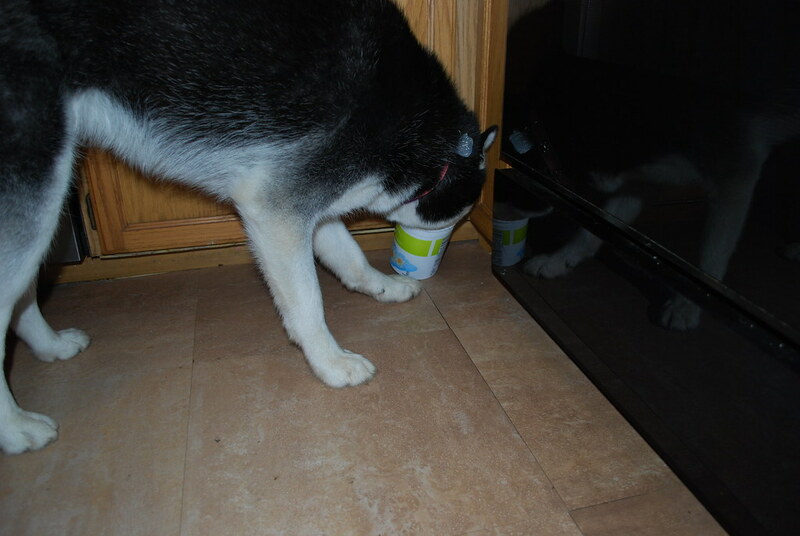 Just don't forget the best part, cleaning out the containers so they can go into the recycling bin.